The resort of Water's Edge, located on the part of Fort Walton Beach known as Okaloosa Island. Originally part of the Santa Rosa Island, it was incorporated into the city in 1950, at that time, there was only summer homes and amusement park. The island underwent redevelopment in 1955 with a new hotel and casino, and condos began to spring up all around it. Waters Edge is one of the most recently built resorts on the island, developed in 2006. Waters Edge directly faces the Gulf and has two beautiful beachfront pools, fitness center, grills and picnic areas, covered parking, and a game room. A medium-rise building, it offers six floors of direct oceanfront rooms with private balconies and an elevator. Condos come in one, two, and three bedroom floor plans. Three bedroom units can have two or three bathroom options. Most have all the upgrades from tile or parquet flooring to granite countertops and Jacuzzi baths. Prices range from just under $200,000 to over $400,000 and also have proven to produce a nice rental income if you are interested in that. When it comes to entertainment and nightlife, Fort Walton has it all. The Downtown section of the city has the history. Visit the original Indian Temple Mound built by native cultures as early as 1100-1550 AD and the Heritage Park and Cultural Center. Originally the city was "Camp Walton" and was an encampment of Confederate soldiers protecting the inlets during the Civil War. The Emerald Coast Science Center will provide even more educational activities for the family. You will find a public park with boat ramps and docks, as well as an amphitheater for live music and other events. You will enjoy plenty of dining and shopping opportunities here as well. Uptown Station is the heart of Fort Walton Beach and has more than 65 stores and restaurants to explore and enjoy. Kids love Central Park's playgrounds, water fountains, and the Express Train that goes all around the park. Outdoor movies are shown on certain nights and they even have a park for your pets. 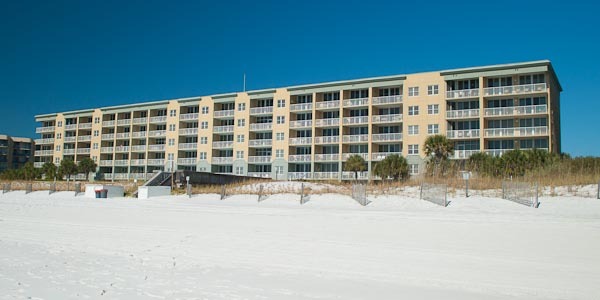 All the resort condominiums in Fort Walton offer a lifestyle that embody Gulf Coast living, and the Waters Edge Condos are some of the best. 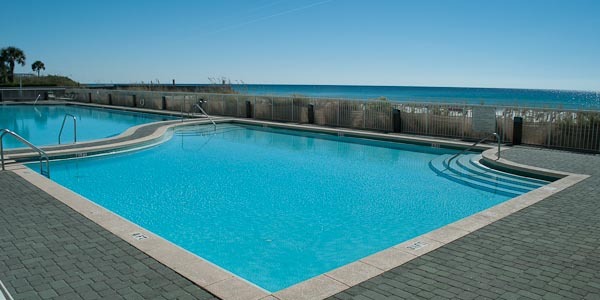 You will love the feel of living or vacationing on an island, yet ever-popular Destin is just minutes away as well. Let us show you around all these things and find your perfect vacation home.